If I drive across a U.S. border, I expect to stop at a Border Patrol checkpoint. But imagine driving to the grocery store, or Mom’s house, well inside America, and being stopped by the Border Patrol. Many Americans don’t have to imagine it — it’s how they live. Even as the federal government fails to control the southern border, it sends the Border Patrol farther into the interior, where Americans complain that agents harass people who are already U.S. citizens. And it’s legal. 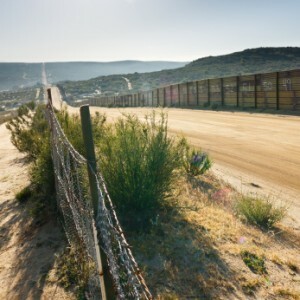 The Supreme Court ruled that the Border Patrol can set up “inland” checkpoints anywhere up to 100 miles from an external border of the United States. That’s what government now considers a “reasonable distance” from the border. But that means the zone within which you could be stopped and searched includes much of Florida and California and all of Maine and New Hampshire. Two-thirds of America’s population lives that close to the border. Border Patrol agents do exactly that. They often demand answers to lots of questions and search cars, too. Posted: 8/11/14 at 9:01 AM under News Story.